A few weeks ago on Facebook someone posted a side-by-side picture of Trump and Mussolini with the implication that they have a similar look and character. Then it mentioned that Mussolini died April 28, 1945 and Trump was born June 14, 1946 suggesting that Trump may actually be Mussolini reincarnated. Since I believe in reincarnation I do consider that various heroes and villains of the past could be born again so I decided to check into this possibility. The first thing to realize in looking at pictures of the two is that we get different bodies in each life. Sometimes there is a similar look and sometimes the physical appearance of the two is not that close. The look of character in the eyes will have the most consistent similarities. Thus, a similar look is anecdotal evidence, but not proof. More important evidence are the mannerisms or idiosyncrasies of the two. If we went by looks alone then John Kerry would have had to have been President Andrew Jackson for the similarities are striking. His character traits are quite a bit different though, so, in my opinion, it is doubtful that Kerry was Jackson. Here is the picture linking Trump with Mussolini. I found the comparison intriguing so I decided to check it out. My first concern was why show Mussolini covered up with a helmet if you want to make a fair comparison? When I checked out pictures of him I saw why, as the two men look quite a bit different when all their features are revealed. 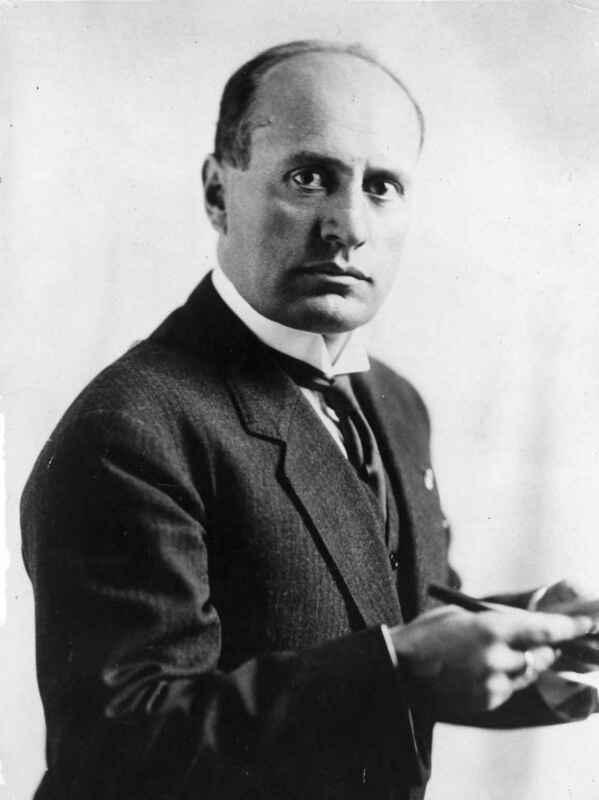 Here is a picture of Mussolini without a hat. The first was a picture of the helmeted Mussolini as a fairly young man and in the second he was in his fifties. Donald is almost 70 and has aged much more gracefully. Below is a picture of Mussolini just before he died at age 61, almost a decade younger than Trump. A big difference is the hairline, but another not so obvious is their height. Mussolini was short, only about 5’6”, whereas Trump is 6’2”. Another physical difference was in their dress. Trump is a stylish dresser who wears expensive clothes. Mussolini showed little concern about how he looked and was known for looking unkempt and somewhat unrefined and careless in dress. Contrary to the Trump accusers out there one cannot draw anything conclusive from the physical appearance of the two men. So, what are some of the other similarities floating around the web? One of the accusations is that the two have a similar style of speaking. It is indeed true that both could keep an audience enthused, but both good and bad guys have done this in the past. What we need to do is compare their actual speaking style by examining it. Notice that Mussolini seems to be more emotional and animated in his presentation than Trump. He kind of came across as a Hitler wannabe. A consistent gesture made by Mussolini was putting his hands on his hips which I have not seen Donald do. Also notice the sound of their voices are quite a bit different. A case for Trump being Mussolini reincarnated is the citation that Mussolini died April 28, 1945 and Trump was born June 14, 1946. Trump being born a little over a year after Mussolini died is supposed to be evidence of them being the same entity. That is pretty weak evidence as many millions of people were born in 1946 and billions have been born after the death of the Duce. Bill Clinton was also born in 1946 and Hillary in 1947. Maybe one of them is the real Mussolini. Then too Obama was born 16 years after Mussolini died so even he could be the guy. After all, if you compare the response of the crowds to the young Mussolini to the Young Obama there are strong similarities. Yes, it is true that if a famous person is reincarnated he would be expected to come back after his death date, but since billions of people are prospects this comparison is very weak evidence. Actually the short time of a little over a year between the death of Mussolini and the birth of Trump gives evidence of Trump being an unlikely candidate for his rebirth. When an entity makes as many mistakes as Mussolini did the soul usually has the person spend some time in the spirit world contemplating his past life and absorbing lessons in preparation for a new life in an attempt to right some wrongs. Let us look at several other comparisons of the two men. Yes, they both initiated a lot of construction, but their approach was very different. Trump did all his building through his own initiative using the private sector. Mussolini didn’t build anything of significance until he achieved control of the government with vast financial resources. He then started many public works projects in an attempt to put people to work and help the economy. This approach was much more like FDR than Trump, yet no one is comparing Trump or Mussolini to Roosevelt. They both wanted to make their country great again. Every politician claims to want to make his country great. The word “again” is the significant one. America’s greatness is associated with recent times incorporating the principles of freedom, rugged individualism and a government that represents the people. Italy’s past greatness was associated with the totalitarian Roman Empire many centuries ago. And indeed Mussolini took over the government by force and ruled as did the emperors of the past. This was his vision of greatness whereas Trump places his idea of greatness on past independence and financial strength. Both men wanted to rebuild and strengthen their military. This may be true but at least half of the people who run for president speak of this as a goal. In a Tweet Trump quoted Mussolini. Indeed, if you remove the bias that it was used by Mussolini then it is a pretty good quote. Who wouldn’t rather be associated with a lion rather than a sheep that just blindly follows? I like the quote and in no way am associated with Mussolini. Many quotes from Napoleon are used from quotation books and he was a dictator in a similar vein to Mussolini. So, if you agree with any of these quotes does it mean that you are like Hitler? Of course not. (1) Trump gained his fame through free enterprise and capitalism. Mussolini wasn’t much of an entrepreneur and his claim to fame was through political stealth. (2) Trump didn’t show much interest in participating in politics until old age whereas Mussolini was very politically involved all his life, starting at his teenage years. (3) Mussolini sought national leadership by taking over the government by force. Trump is seeking leadership through a free election. (4) Mussolini saw a dictatorship as the best and most effective government. Trump supports the U.S. Constitution. (5) Trump has never drank alcohol. 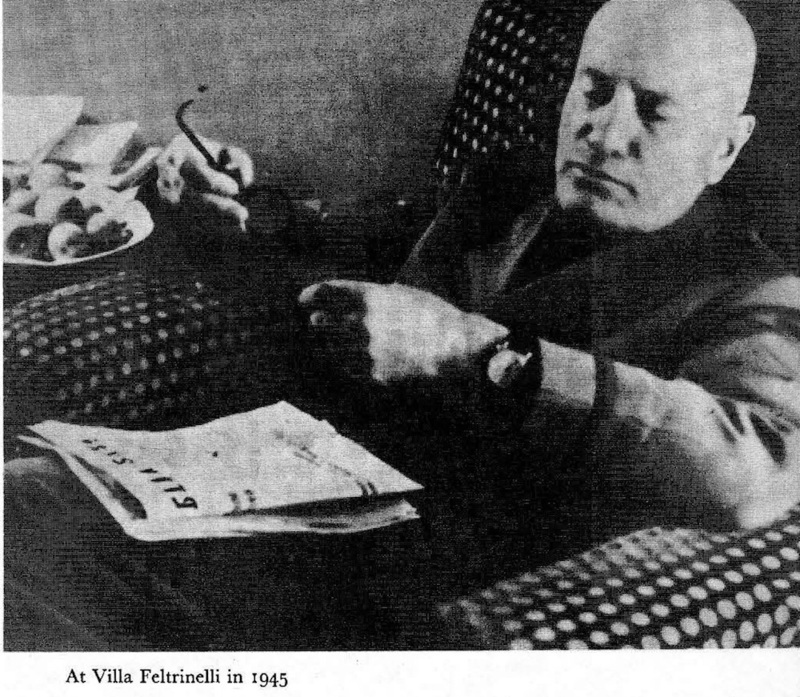 Mussolini liked to drink but had to curtail it because of health problems. (6) Mussolini had health problems throughout his life and looked older than his age. Trump has had good health and looks younger than his years as he approaches 70. (7) Those close to Mussolini testified to his mean spirited nature whereas those close to Trump generally say that he is warm hearted, kind and generous, quite a bit different image than perceived by his political enemies. (8) Mussolini didn’t care a lot for money, getting rich, making deals etc. – the opposite of Trump. (9) Mussolini considered himself to be “a defender of Islam,” while Trump sees Islam as a major problem. (10) Mussolini persecuted the Jews while Trump embraces his daughter, grandkids and others who are Jewish. Though anything is possible it is obvious the similarities are not strong enough to reach any serious conclusion about Trump being the reincarnation of Mussolini. Since Trump is a powerful personality it is quite possible he has been someone of note in his past lives. We can only speculate on who that may be.